About Us || Morden Rub Plast Pvt. Ltd. Welcome To Morden Rub Plast Plast Pvt. 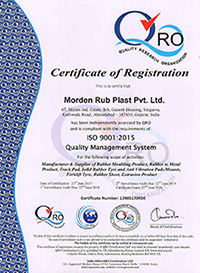 Ltd.
Morden Rub plast Pvt Ltd is founded in year 2015, a small scale industry manufacturing & marketing of Track pad, Solid rubber tyre, Anti Vibration Pads/Mounts and Rubber Parts as per Sample/Drawing. Mr. Rakesh K Patel – Director, Vishal Patel – Director is in rubber industry from more than 8 years. We at Morden Rub Plast Pvt Ltd, manufacture quality Anti Vibration Machine Pads, and special tailor made mounts for special applications. special applications. Products are manufactured using materials such as Natural Rubber, Chemicals, and High Grade Castings & Fasteners. Our product range covers a wide range of applications from Forging Hammer to Air Compressor. Keeping in mind the sole aim of manufacturing quality products, Morden is increasing its customer base in the market day by day and have become regular supplier to Asphalt, Concrete paver & Excavator manufacturer, Machinery & Equipment Manufacturing Industry. Efforts are being put to create awareness amongst the actual users in the larger interest of the industry and building reputation at the grass root level. Company has trained, dedicated employees in plant as well as efficient Marketing Department who are determined to provide quality products and service for total satisfaction to our valued users. On request, Morden’s own installation team can also provide installation service. At Morden, it is continuous process to explore all possibilities to innovate product range and to upgrade for its maximum performance. Morden is growing steadily and will leap further with customer’s satisfaction and confidence. Morden Rub plast Pvt Ltd due to its quality and customer oriented services claim to be the leader in Solid tyre, Anti Vibration , Track pad, and all kinds of Rubber Items. Morden Rub Plast Pvt Ltd, a diversified global manufacturer of a broad range of equipment that is focused on delivering reliable, customer-driven solutions for many applications, including the construction, infrastructure, quarrying, mining, shipping, transportation, refining, energy, utility and manufacturing industries. Terex reports in five business segments: Aerial Work Platforms, Construction, Cranes, Material Handling and Port Solutions, and Materials Processing. 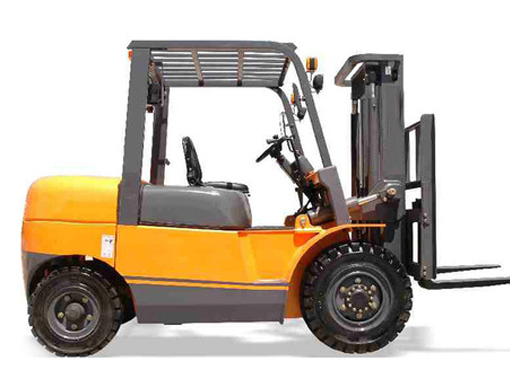 Our business field and valuable customers’s are Road Construction Companies, Automobile Industries, Various types pf Engine and Generator set manufacturers, Electronic Industries, Hydraulic Industries, Pump Industries, Pharmaceutical Industries, Printing Industries, machinery manufacturing Industries etc.